Uttar Pradesh Basic Education Board today on 14th August 2013 declared the results of Uttar Pradesh teachers eligibility test. Around eight Lakhs students appeared for the examination of UPTET examination. This examination was held on 27th and 28th June. Today on UP Basic Education Board official website, results of UPTET 2013 has been declared. To check the results of UPTET – you need to visit the official website of Uttar Pradesh Basic Education Board. 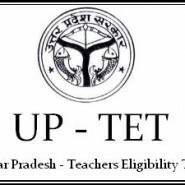 Visit http://upbasiceduboard.gov.in/tet_regno.aspx to check the Uttar Pradesh TET results. Click here to check your results. To check the results, just enter the roll number of the candidates and enter the letters of the captcha. For any doubt ask us in the comment.